If you’re fascinated with men and women in colorful tights, you may want to check out this list of 10 good superhero movies. From claw-popping mutants to dour guardians of Gotham City, this list includes a sampling of some of the best superhero and comic book movies currently available. If you’ve never experienced the genre, any one of these should make you a fan for life. X-Men (2000) – The franchise gets its start and turns Hugh Jackman into a star in the process. As the mutant known as Logan (aka Wolverine), he saves a young girl named Rogue (Anna Paquin) from a group of super-powered villains and finds himself surrounded by heroes such as Storm (Halle Berry), Cyclops (James Marsden) and Jean Grey (Famke Janssen). A showdown atop the Statue of Liberty caps off an exciting comic book adaptation, and Ian McKellen is top-notch as the compex Magneto. 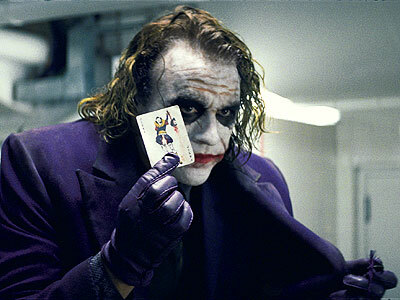 The Dark Knight (2008) – While Christian Bale mumbles and growls as Batman, Heath Ledger steals the show as the demented and dangerous Joker. Brought in to stop the Caped Crusader’s reign of terror against criminals, The Joker proves more than even the bad guys can handle. To further complicate matters, noble D.A. Harvey Dent finds himself transformed into the villainous Two-Face, a man whose every action is determined by a flip of a coin. Superman II (1980) – Christopher Reeve returns to pit his muscles and innate goodness against three dastardly Kryptonians from the Phantom Zone prison (including Terence Stamp as their leader, General Zod). Lex Luthor (Gene Hackman) is also back, as well as Margot Kidder as plucky reporter Lois Lane. One of the few superhero movies where the title character actually gets to go up against opponents with super-strength. And at least there aren’t any super-powered children killing people with pianos. Spider-Man (2002) – Sam Raimi helms this film and shows off a visual style perfectly-suited to a comic book movie. When he’s bitten by a radioactive spider, nerdy high school student Peter Parker (Tobey Maguire) develops superpowers. But when his Uncle Ben (Cliff Robertson) is murdered, he begins to fight crime, eventually placing him on a collision course with the crazed Green Goblin (Willem Dafoe). Blade (1998) – Wesley Snipes is a “daywalker,” a half-vampire who has all their powers but can also walk in the sunlight. With the assistance of the grizzled Whistler (Kris Kristofferson), Blade kills vampires with a variety of high-tech weapons and martial arts moves. But can he stop the villainous vampire known as Deacon Frost (Stephen Dorff) before he dooms the planet to the wrath of the Blood God? The film spawned two sequels, and deserves a spot near the top of any list of good superhero movies. Spider-Man 2 (2004) – Tobey Maguire and Sam Raimi (as well as James Franco and Kirsten Dunst) return for another round of superhero action. This time, Peter Parker must contend with revenge-minded Harry Osbourne (Franco), his best friend who blames Spider-Man for the death of his father, the original Green Goblin. And then there’s Dr. Otto Octavius (Alfred Molina), a brilliant scientist whose botched experiment drives him mad and grafts four deadly robotic tentacles to his body. Looks like it’s going to be a busy week for our friendly neighborhood Spider-Man. Unbreakable (2000) – While not a traditional superhero movie, this offering from director M. Night Shyamalan does qualify for the category. Bruce Willis is David Dunn, an unexceptional security guard who finds himself the only survivor of a train wreck. That’s when he’s approached by “Mr. Glass,” (Samuel L. Jackson), a mysterious figure with a rare bone condition who informs Dunn that he’s a superhero. The average Dunn dismisses this crazy talk at first, but then he begins to experiment. While the ending was too abrupt for my taste, Unbreakable is an original spin on the usual superhero origin story. Iron Man (2008) – Robert Downey Jr. shot to superstardom in the role of Tony Stark, a billionaire industrialist who dons special armor to fight against terrorists and other rogue powers. Aided by his assistant Pepper Potts (Gwyneth Paltrow), Stark seduces women, drinks martinis, and fights crime with plenty of style. 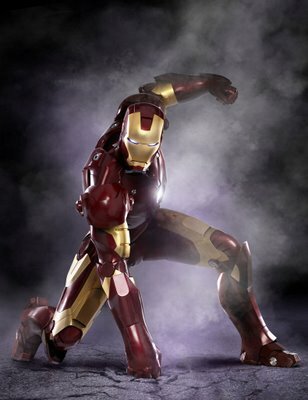 Any movie that features the song “Iron Man” is okay with me. Batman (1989) – Michael Keaton and Tim Burton combine to present this dark vision of Gotham City, and Jack Nicholson hams it up as the psychopathic Joker. Kim Basinger is love interest Vicky Vale, and supporting actors include Jack Palance, Pat Hingle, Michael Gough, and Robert Wuhl. Prince provides the funky soundtrack. Hancock (2008) – Will Smith stars as John Hancock, an alcoholic superman who possesses amazing powers and inflicts amazing property damage. Hated by the citizens of Los Angeles, Hancock saves the life of an idealistic public relations man (Jason Bateman) who vows to help him in return. Thus begins the rehabilitation of a superhero. Charlize Theron stars as Bateman’s wife, a beautiful woman with secrets of her own. All of the above can be rented from Netflix, which includes unbeatable pricing plans and fast shipping. Sure, we get a commission for sending you there, but we’re also loyal customers. This entry was posted on Wednesday, March 10th, 2010 at 7:21 pm and is filed under Good Movies. You can follow any responses to this entry through the RSS 2.0 feed. You can leave a response, or trackback from your own site. What Movies Are Coming Out in 2011?